Facebook has become an important communications and marketing channel for many small businesses, many of whom could benefit from having more visitors to their pages. Unfortunately the average small business operator has neither the time nor the resources to promote Facebook pages like big business can but there are several simple things one can do to get more visitors. Include a link to your Facebook page in your business and personal email signatures. If you send out email newsletters to clients you should include a link to your page. Add a Facebook link to your website’s home page and contact page and add Facebook Like buttons to your article or blog pages. Do this also for any blogs you run on other platforms like blogger. 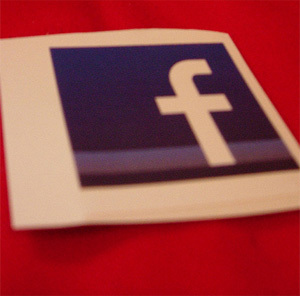 Even printed promotional material like brochures and flyers can include a mention of your FB page. Mention your page in any shop or vehicle signage you might have, add it to your business cards. If you have personal profiles at sites like Linkedin or Hubpages include a link to your Facebook page. When commenting on blogs or in online forums try linking to your page instead of your website. Leverage your existing contacts – ask personal friends and colleagues to like the page so their friends get to hear about it. Ask existing likers to share your posts with their friends. Offer incentives like free reports or discounts to page likers, everyone loves a freebie. Consider running a competition and ask your likers to share with their friends. Make sure you comply with Facebook’s rules on competitions. Use a landing page to ask new visitors to hit the like button. Tell them what benefits they will receive and most first-time visitors will become likers. Go and find good relevant discussions on other Facebook pages while logged on in “use Facebook as Page” mode. Hit the like button for those pages then add to those discussions meaningfully, don’t spam. Now everyone who previously liked or commented on that post will receive a notification about your post, a great way to get noticed! Mention other Facebook pages in your posts and tag them so the post appears on their page as well as your own. Not all pages allow it but many do. Use Facebook advertising to promote your page to whatever demographic you like. You can target who sees your ads by age, gender, interest, location and many other ways. Post regularly to your page but make it interesting so as to engage users, the more they interact with your page the more their friends will get to see your page mentioned. James is a web designer who is also passionate about social media and its potential in the small business sector. He is also involved in logo design and other graphics work in Australia. Nice post.Thanks for sharing 14 ways to promote our facebook page.This post is helpful for many readers. Agree with waterpearls. Sharing this post with others now. Thanks For sharing those 14 ways, it is really helpful.. and i try it its really affective..
It’s important to promote our facebook page especially if we have bussiness and we want to improve our traffic to our website,so more traffic mean more money..
Hi. Thanks for sharing the tips. It’s just that I was wondering what should I do, since I’m afraid doing it the wrong way and may ended up offending someone. Some excellent tips on promoting your facebook page. Thanks! Great post and very informative and useful points and ways you have discussed and shared, most of these ways i often use but not all, now after read your post i can manage my fan page better then before, thanks for this awesome post, i really like it, and it has increased my knowledge. Great post, we’re always on the lookout for ways to increase traffic to both the site and our facebook page, some good suggestions I had not thought of here. These 14 tips are great as I am always looking at more ways to promote my facebook pages! Yeah nice tips as i am new to Blogging and Fan likes is very important now days to avail a good traffic and good ads in website. Thank you for share.